From transparent cabins, to walls that look like they're filled with balloons, these design masterpieces have even more to them than first meets the eye. 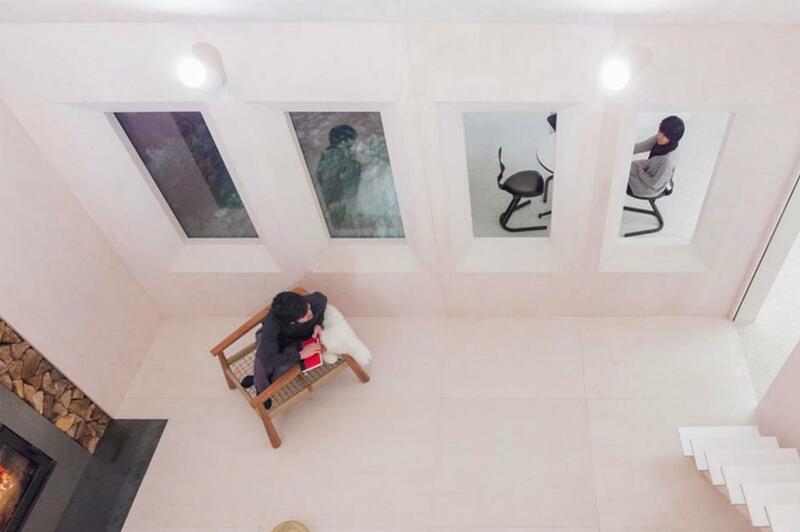 These incredible illusions will make you think a little more about the possibilities of your ordinary home decor. 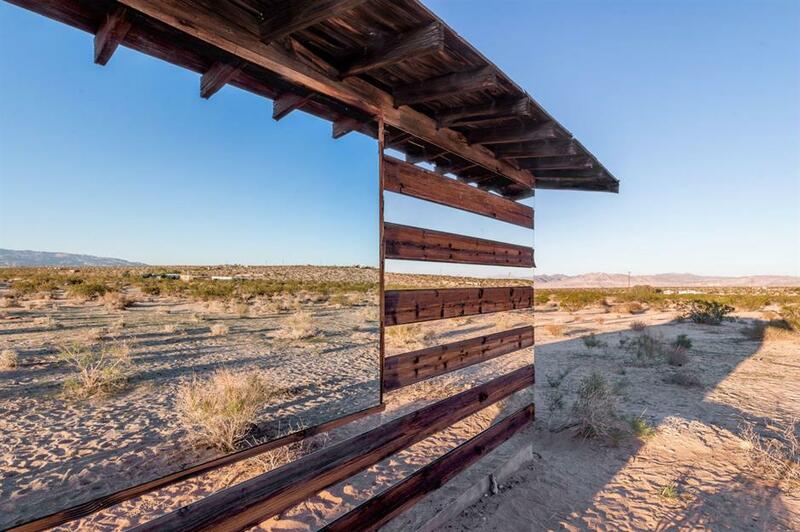 This cabin in the Californian desert appears to be partially transparent until you take a closer look. Artist and architect Phillip K Smith II revealed this part-architectural-invention and part-optical-illusion in Joshua Tree, California. 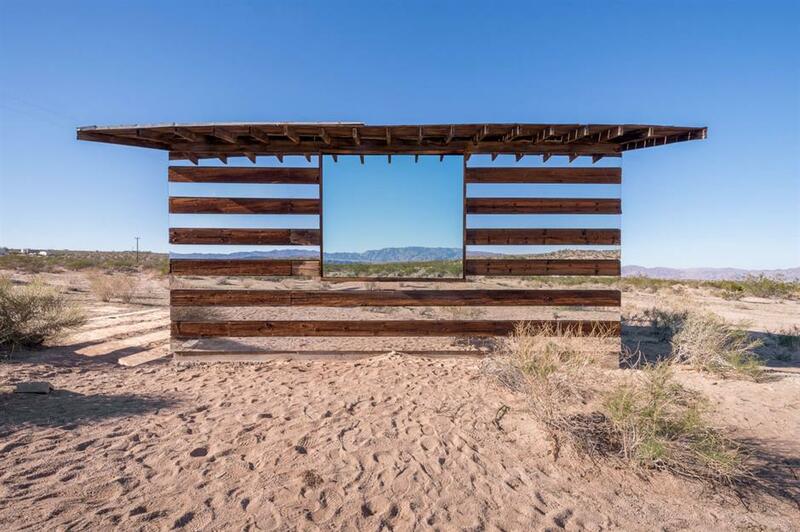 He modified a 70-year-old homesteader shack and created the illusion of invisibility by using mirrors. Some creative types use paint to play with optical illusions. Artist Ciaran Brennan decided to take a house party to the next level when he painted this design on the exterior wall. The trompe l'oeil art technique created the illusion of balloons spilling from the inside walls. 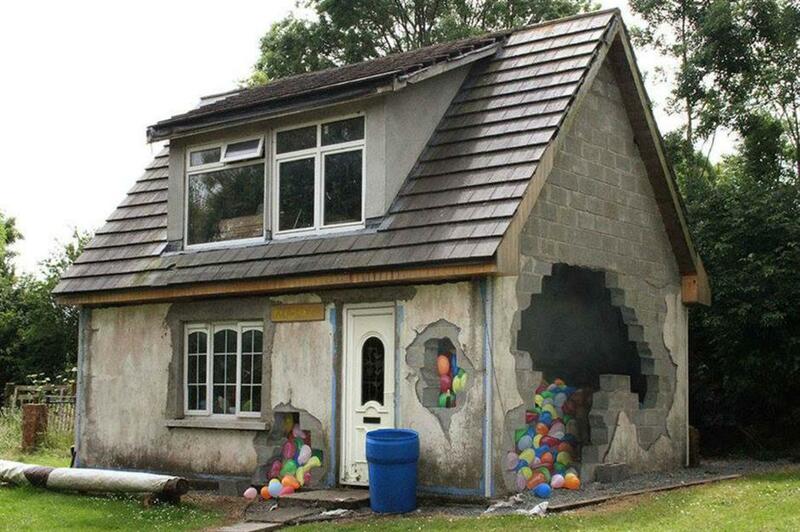 He even added real balloons in the entrance to make the design seem as realistic as possible. The front of this house in the English seaside town of Margate appears to sink down into the front garden. The building had been derelict for 11 years when British designer Alex Chinneck used it for an art project called From the knees of my nose to the belly of in 2013​. 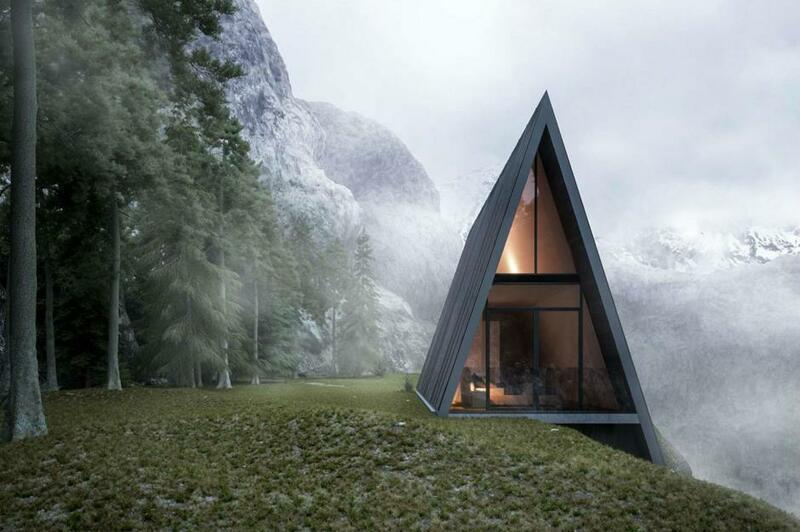 While these incredible one-off designs are extreme, there are real-life homes that are equally pushing boundaries, houses that you could actually live in! 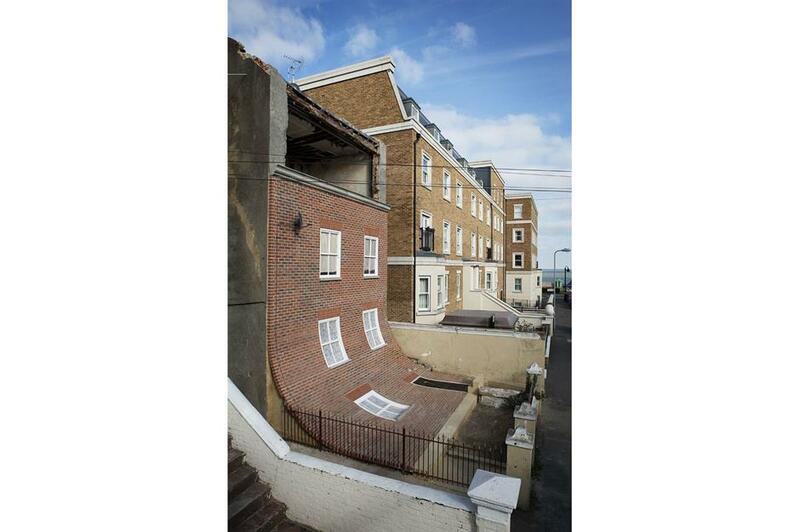 If you fancy building your own optical illusion house, then this might be the property for you. 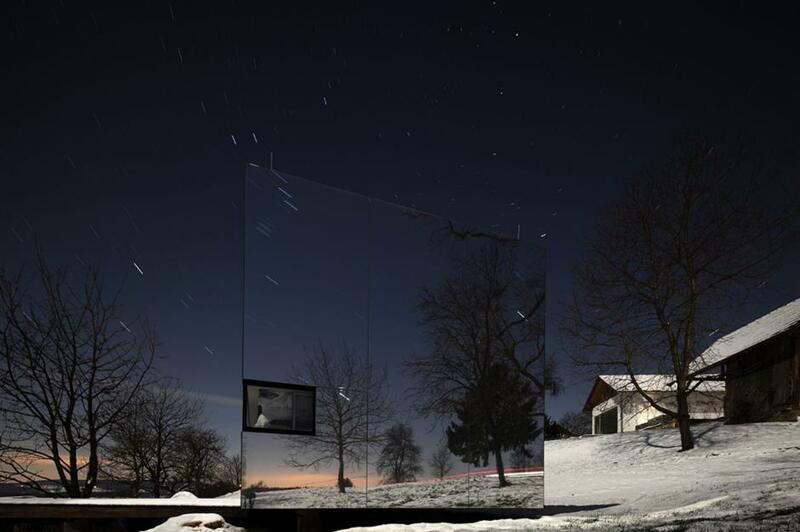 Clad in mirrored glass, the tiny, shiny, pre-fab home called ÖÖD blends into its environment, no matter where you decide to put down roots. 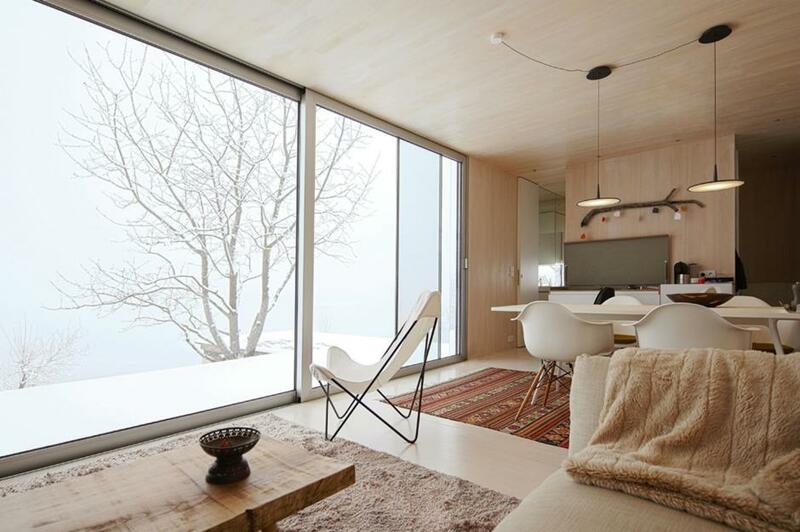 Designed and manufactured in Estonia, the prefabricated ÖÖD house costs just $65,000 to build. 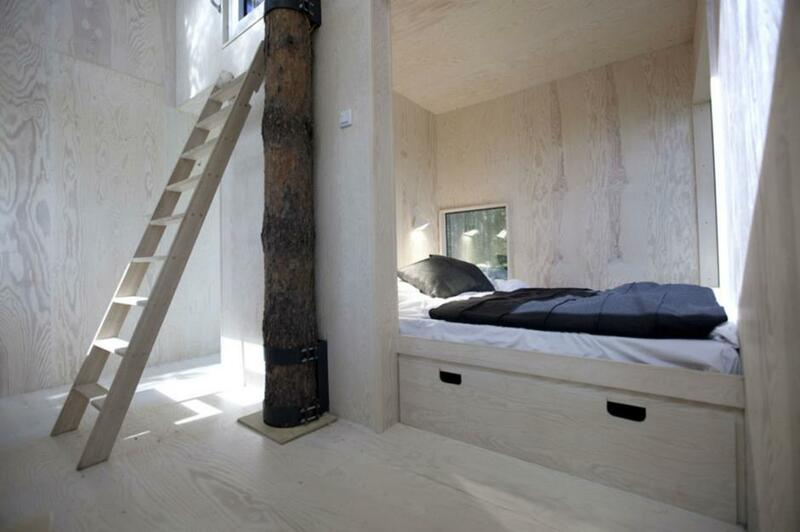 The design manages to fit all the living essentials into the small space and takes just eight hours to put together. Not only is it amazing on the outside, the inside is stylish as well. 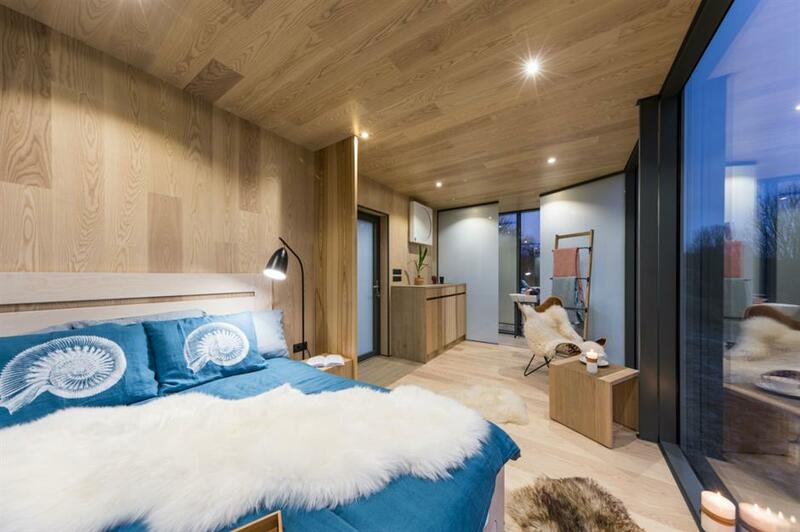 The timber floors and ceilings give it Scandi style and with adjustable heating and built-in LED lights, you don't have to go without any home comforts. It also comes with custom-designed furniture, a BOSE sound system and large touchscreen. You'll just need to hook it up to water, sewage and internet. 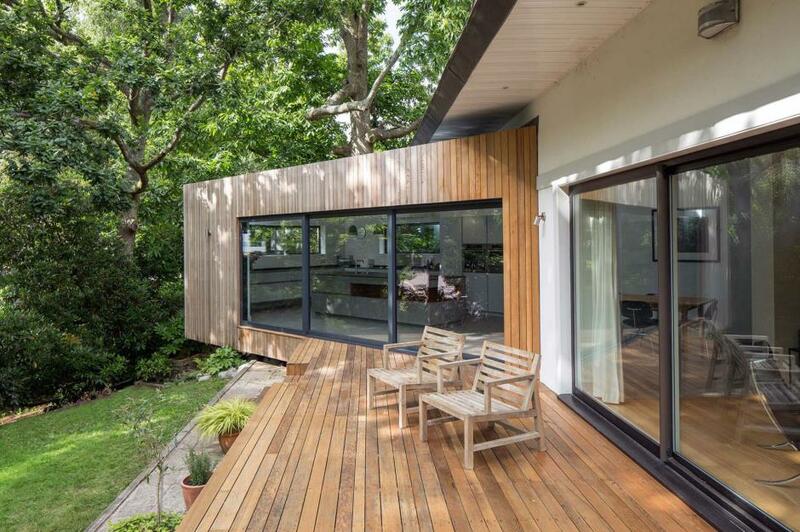 The two-person dwelling is made from steel, insulated glass and wood to help keep in the heat. 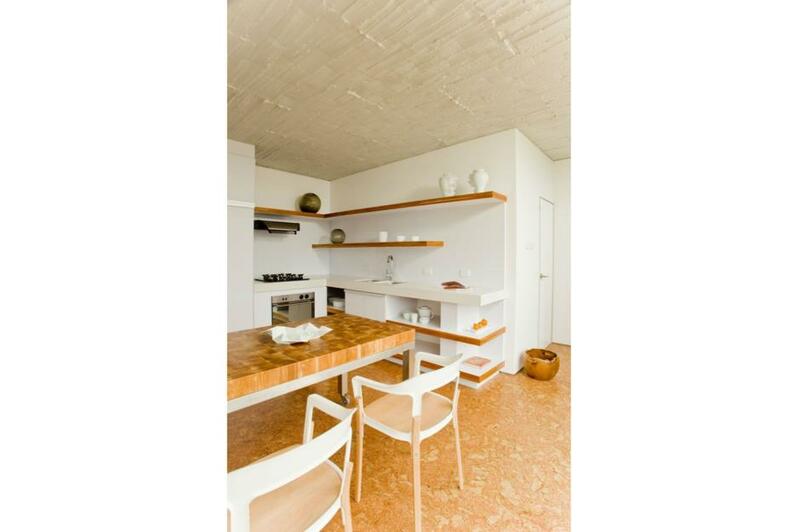 The small but open-plan layout has a bed, kitchenette and bathroom. 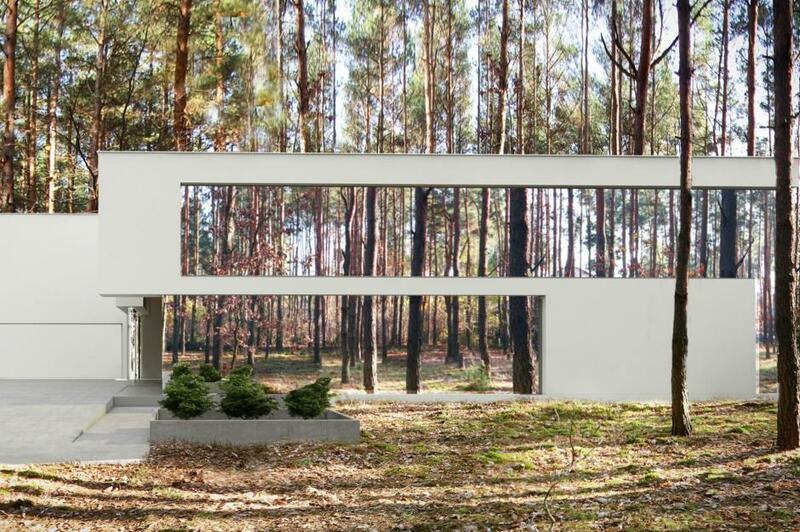 The external surface of this home uses mirrors to blur the lines between architecture and woodland, creating the impression of a building with a forest within. 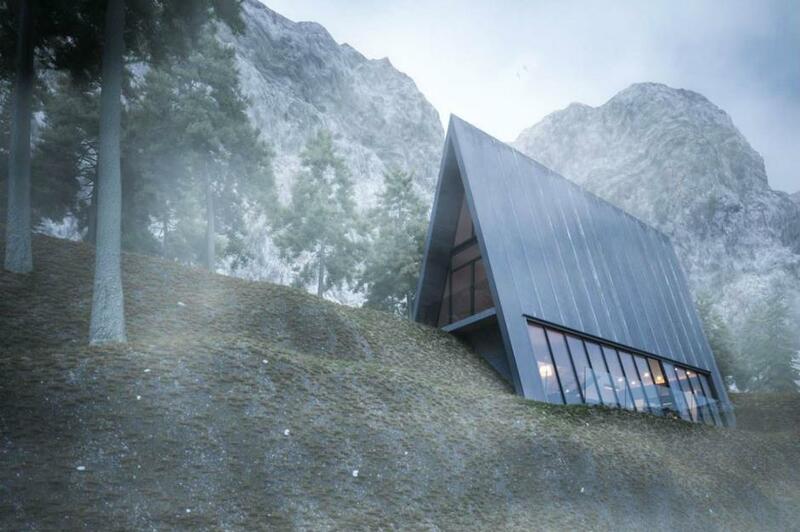 This remote home is designed to be integrated into its natural surroundings. A deep undercut in the building creates a cantilevered overhang that uses mirrors to blend in with the surroundings, which gives the illusion that the extension is floating. Inside, the space is undivided across the cottage's ground floor rooms, creating a series of unified spaces that all bear the same soft pink colour of the interior plasterwork. 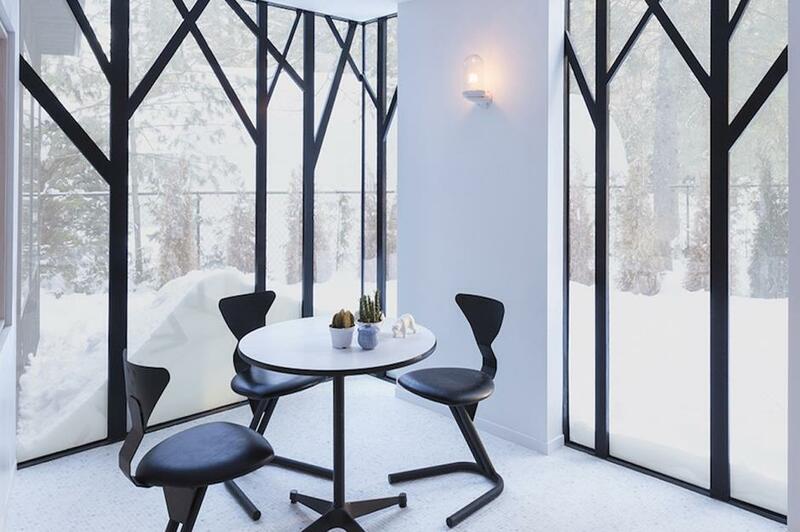 Behind the mirrored surface, large windows and skylights allow natural light to filter through the cottage during the day with strong black frames shaped to reflect the tree-branches. 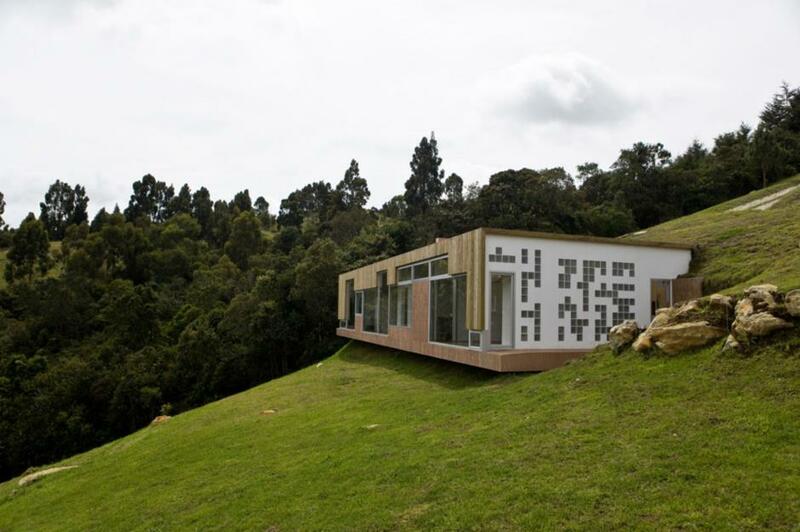 From above this contemporary underground home is virtually invisible, appearing like a floating wooden platform in the hills. 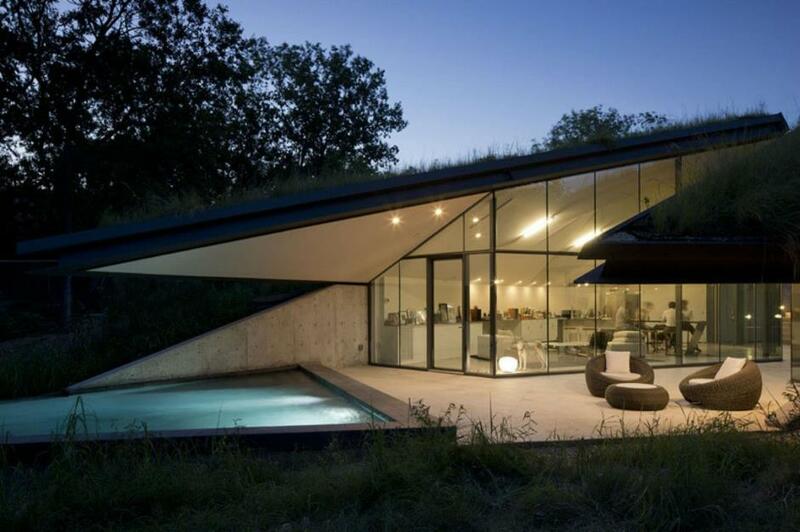 From downhill the home appears from the sloping landscape, designed with bold modern touches such as glass walls and a geometric wood façade. If you are wondering how you enter the unusual house, try the roof! 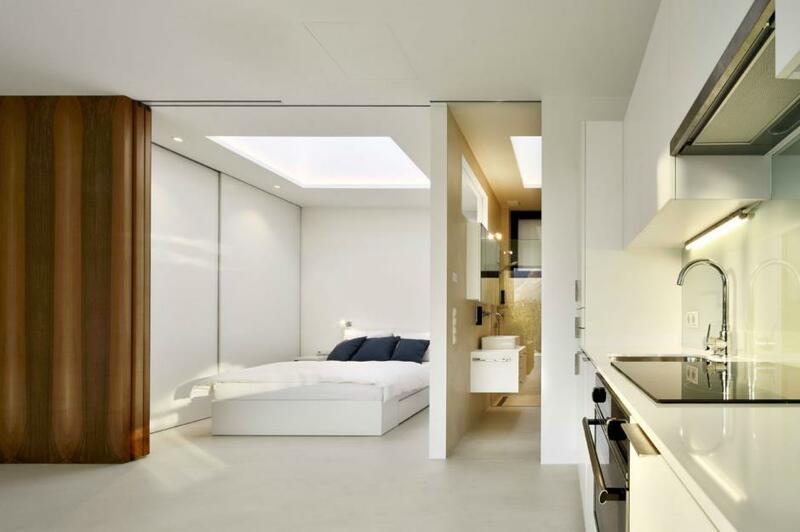 The small hatch doubles up as a doorway and skylight. 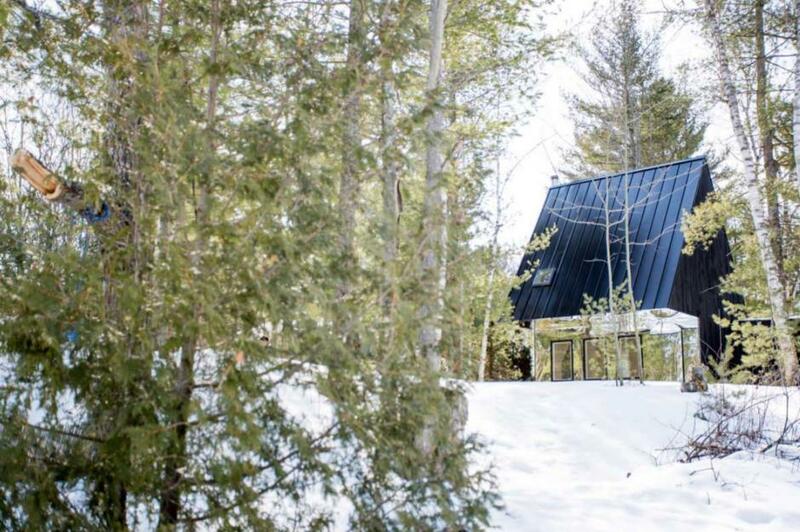 At just 100 square foot, the house is compact and efficient, using cork plank flooring as an insulator to help maintain heat captured during the day. 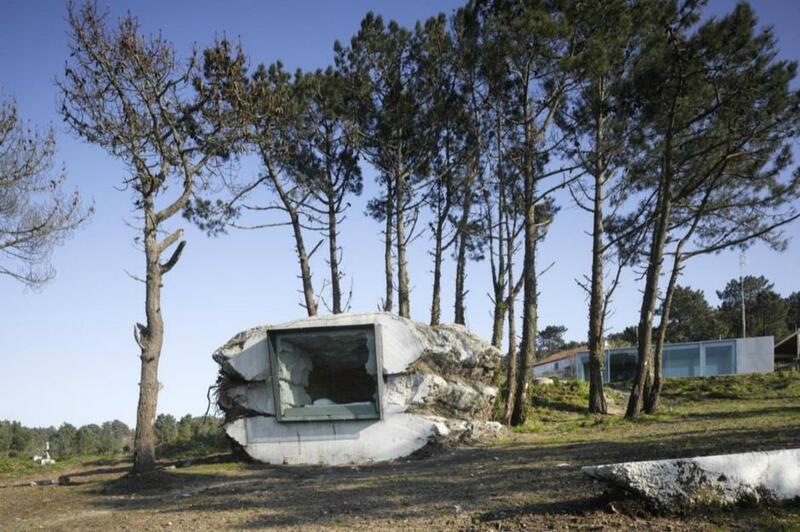 At first glance, this house looks like a boulder sitting on the horizon. However, on closer inspection, it is a tiny truffle-inspired hideaway made from concrete and hay. 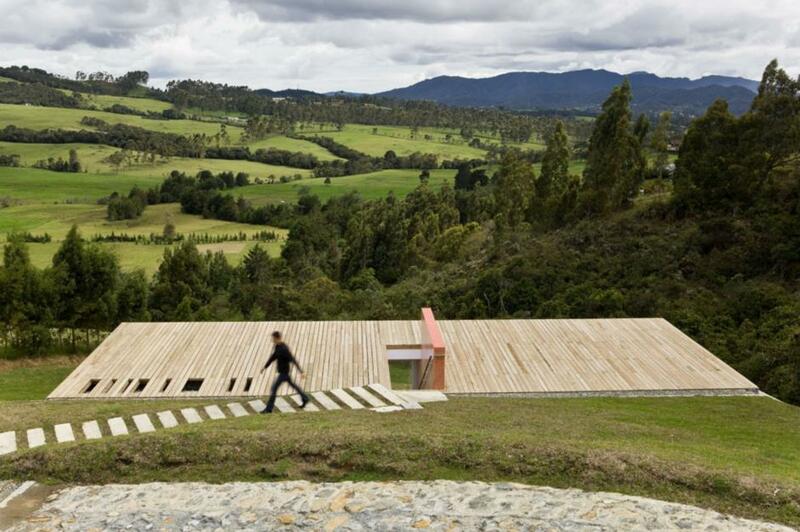 Created by Ensamble Studio, the structure was built by effectively pouring concrete over a structure formed out of bales of hay. 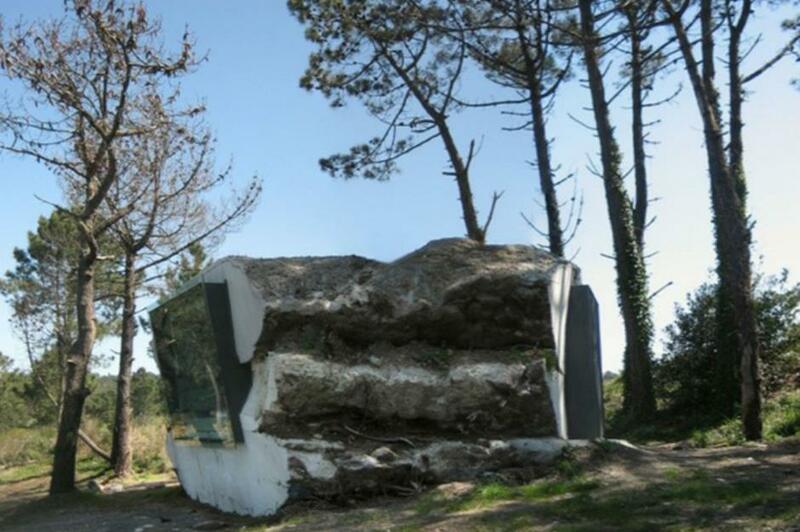 To create the cavity that now functions as the main, multi-functional living space, the architects brought in Paulina the calf, who ate through the interior for an entire year. Inside, a built-in fireplace heats the space. 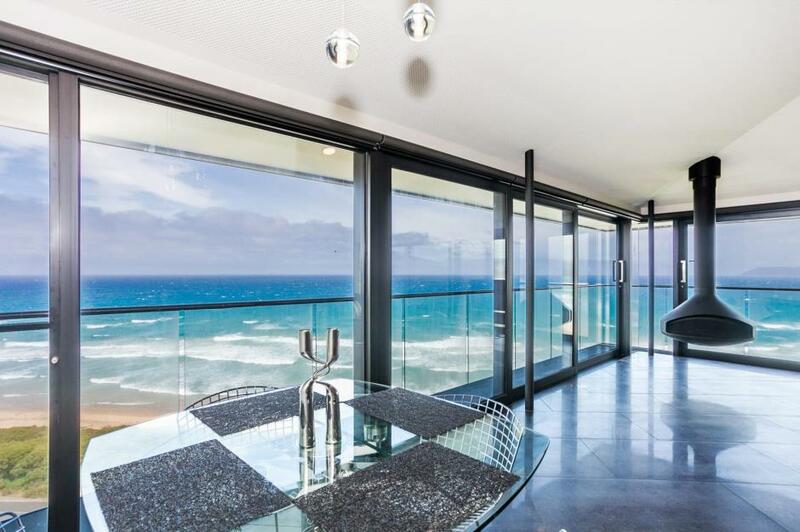 And let's not forget the amazing views of the ocean from the picture window. 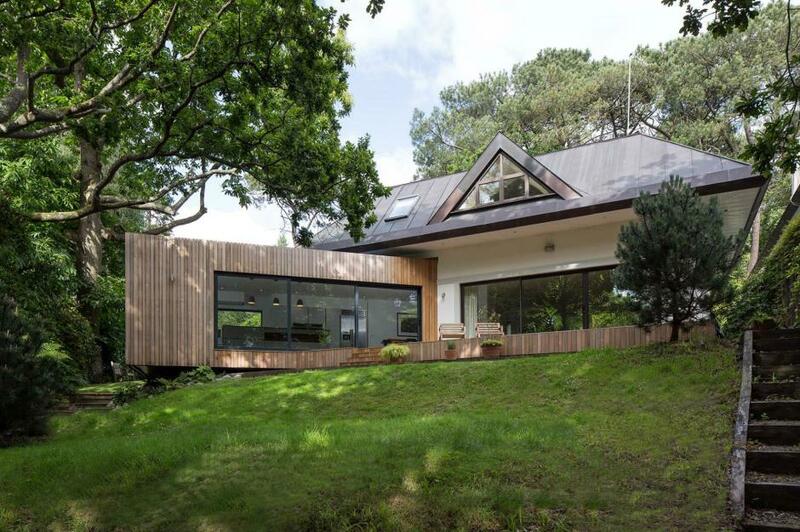 Designed by Reform Architects, this impressive house blends in with its forest surroundings so well it appears as though it is a white shell with a hollow center. 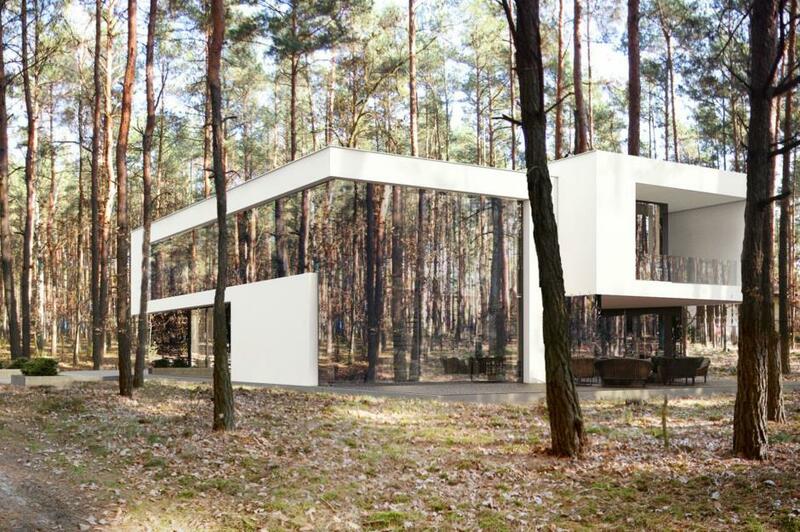 Made of mirrored walls, Izabelin House was designed by architect Marcin Tomaszewski to appear as though it is floating on air. 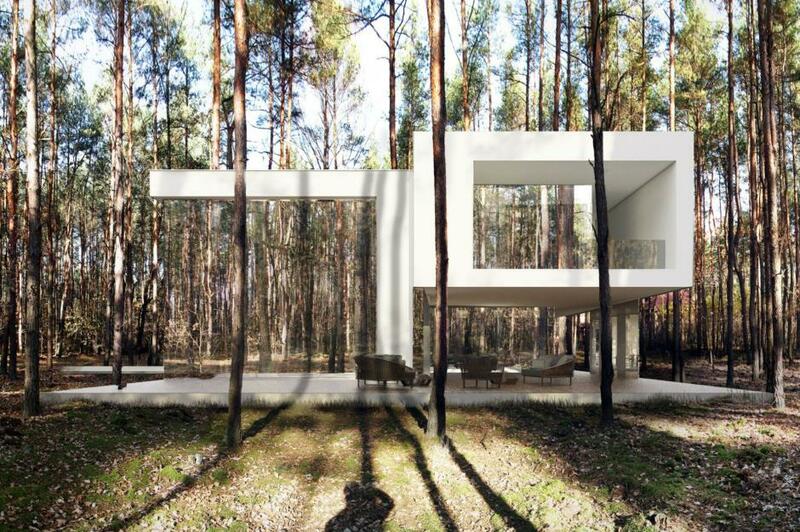 Located just outside Warsaw, Poland, the architectural masterpiece is perfect for a forest retreat. The house is split across two levels although, from a distance, the bottom level almost disappears so the building blends in to the natural landscape. Pick a location, and build an invisible house. That's what architects DMAA offer. 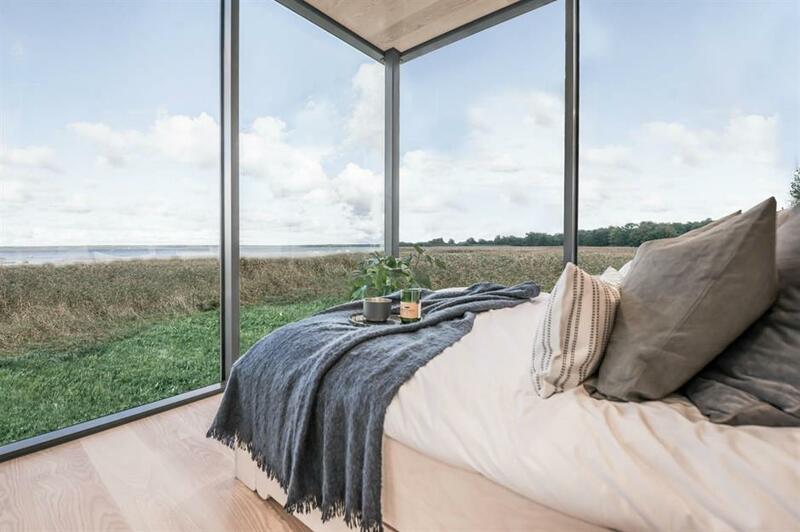 This house, also aptly named Casa Invisible, is a prefabricated flexible housing unit, which is designed so that it can be built on any designated site. 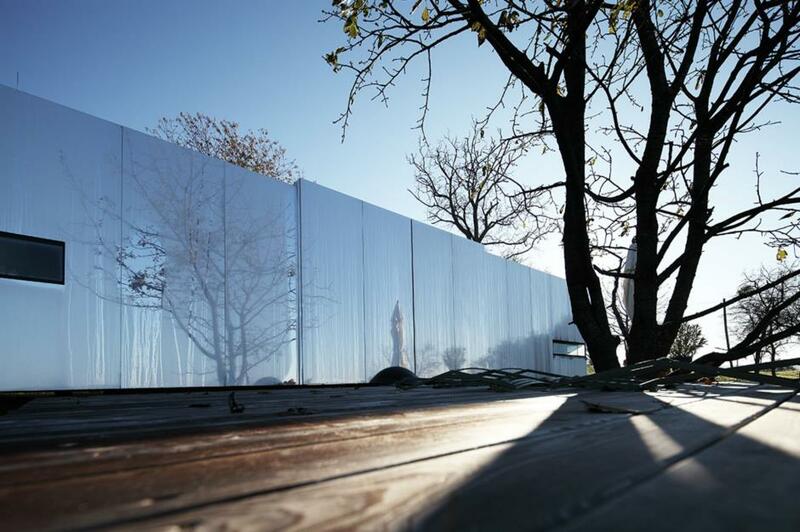 Casa Invisible blends into the environment, allowing for minimal disruption to your surroundings. 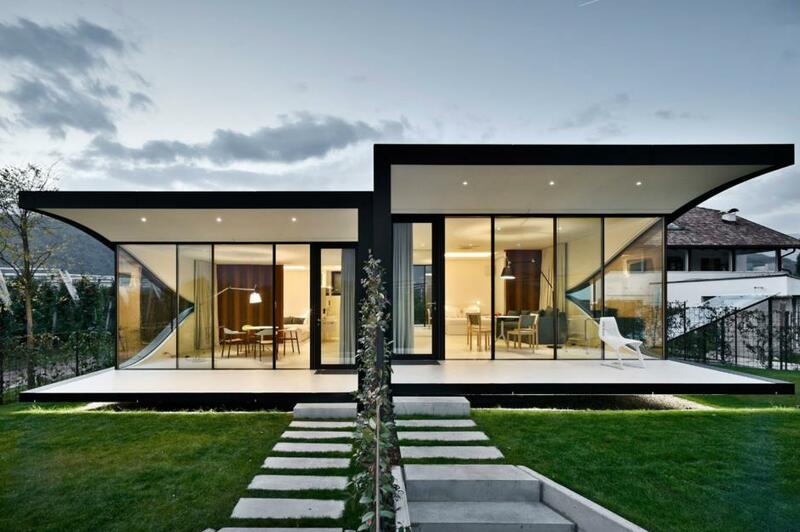 Over in Poole in Dorset, England, this house was designed to respond to the dramatic drop in the property’s rear garden – essentially making it look as though it is floating above land. 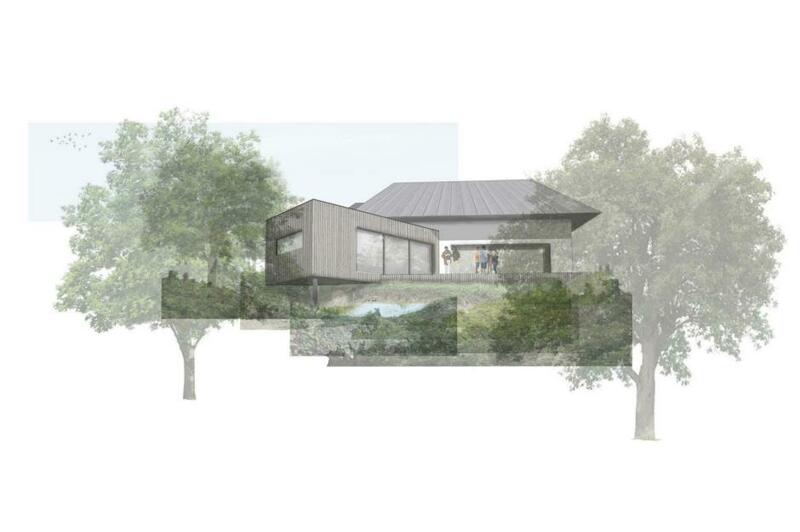 As you can see, the house, designed by Footprint Architects, edges out into the trees and, from the bottom, appears as though it is completely floating. The home provides its owners with a top-of-the-castle feel and fantastic views of the landscape ahead with the outside terrace. 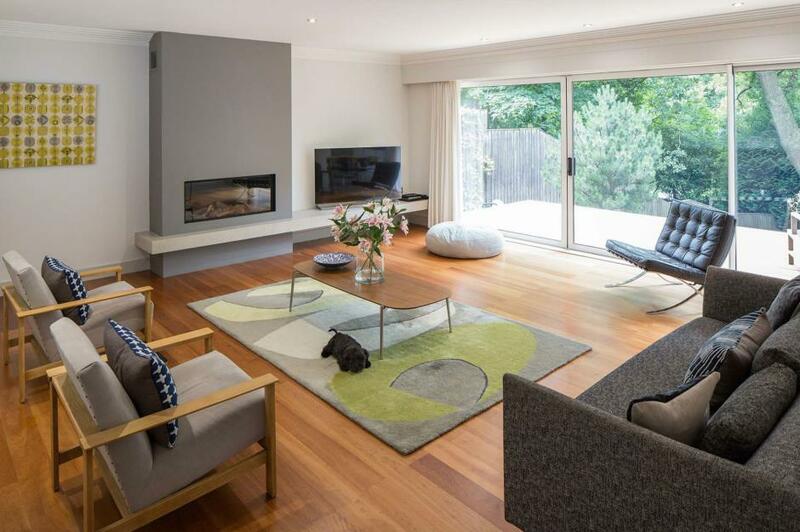 Inside, the rest of the property is just as inviting. 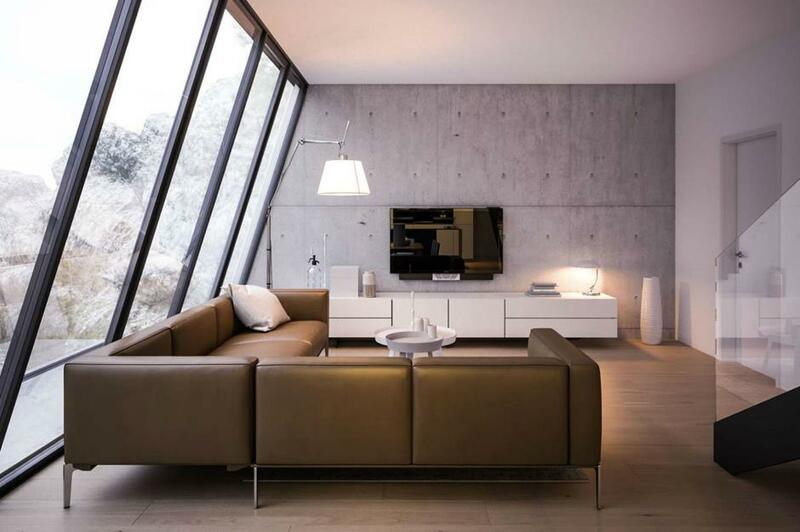 The open-plan layout boasts a minimalist style and large floor-to-ceiling patio doors that allow the outside and inside to feel fluid. 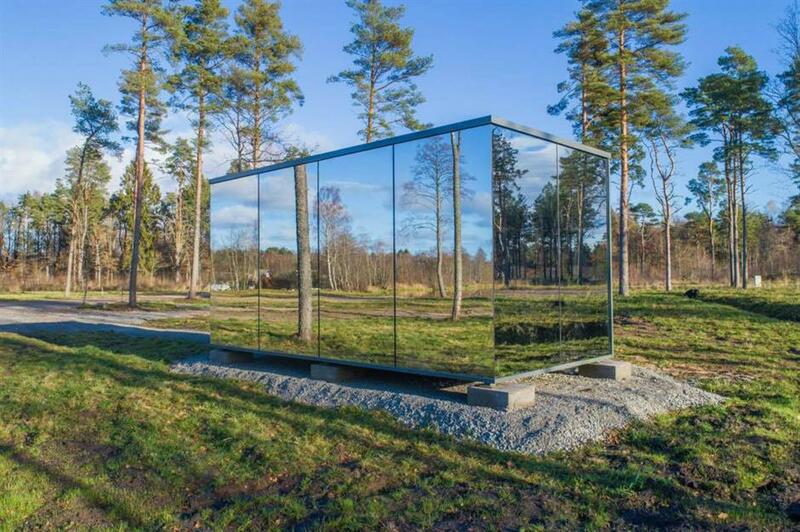 Hidden among the trees in the Swedish wilderness is this nearly-invisible cube, which sits an hour from Luleå (Kallax) airport. 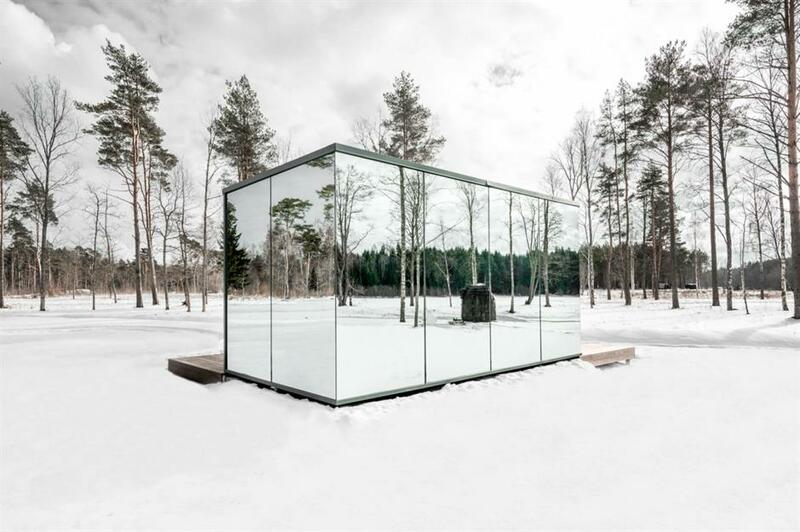 Designed by architects Tham & Videgård, the cube is camouflaged by mirrored walls that reflect their surroundings. 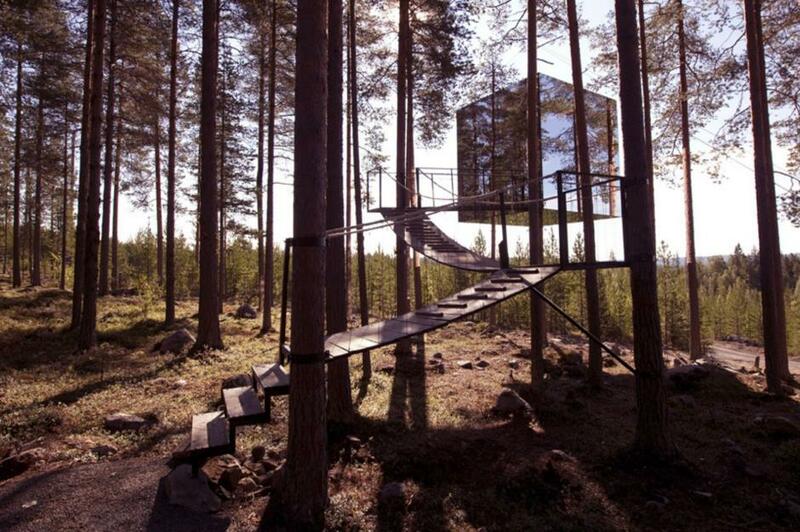 Measuring just four square metrees, the cube is super cozy, and the perfect place to hide away from the real world. 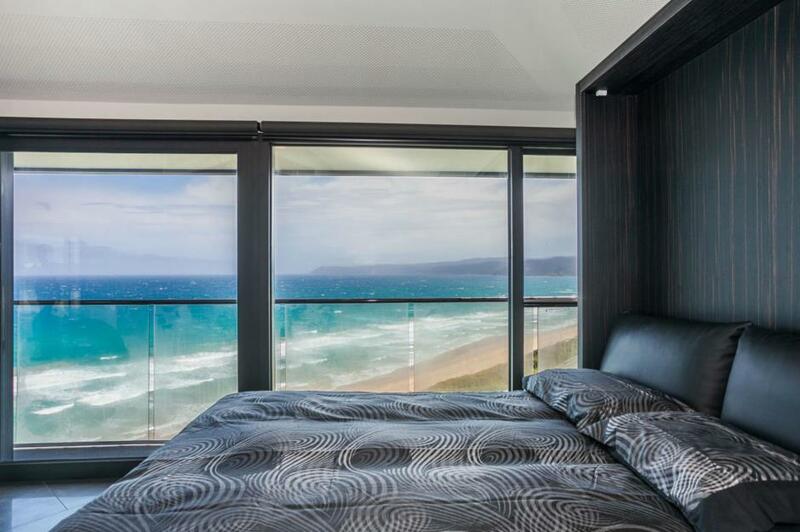 The six windows surrounding the cube mean residents get to look out onto views like this during their stay. 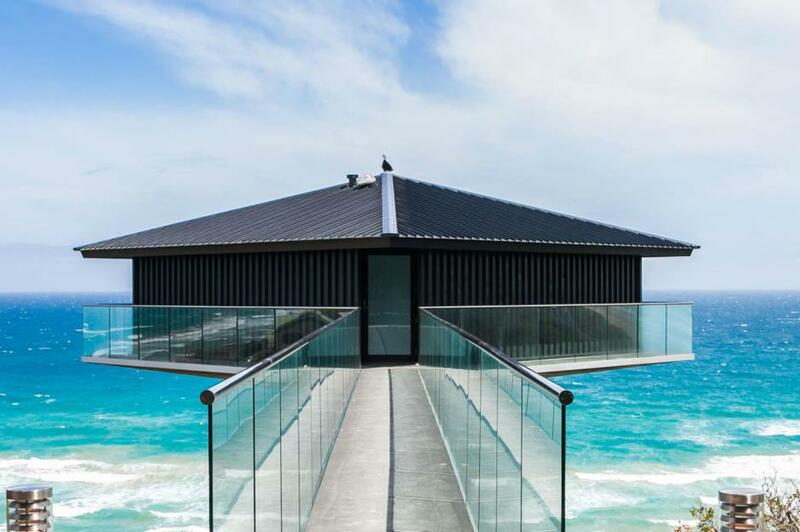 Over in Australia, it is hard to imagine being welcomed by a better view. But how would your stomach handle walking across a deck so high up to reach your house? 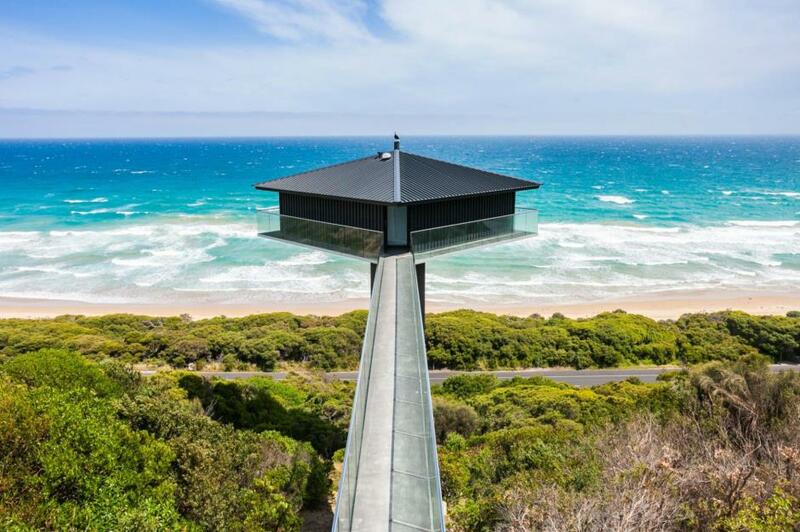 The Pole House is thought to be the most photographed house on the famous Great Ocean Road, and possibly even in the whole of Australia. 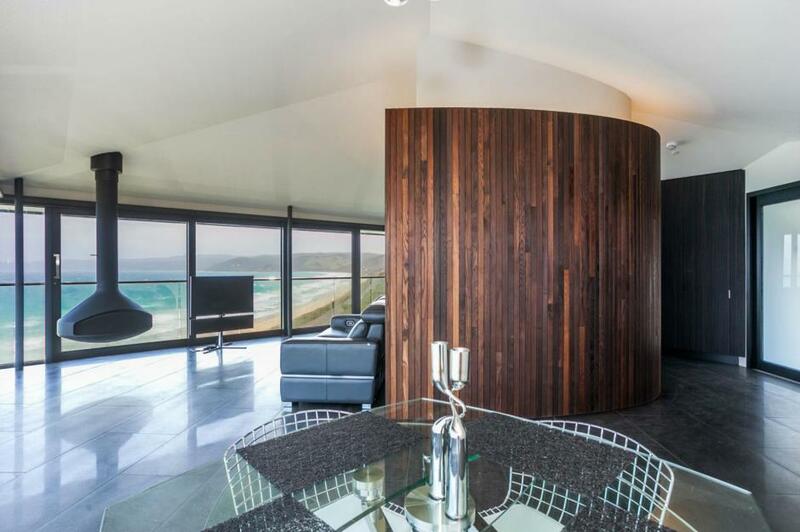 The Pole House was recently renovated to make a luxurious suite with a spacious living and dining area, bedroom and bathroom in an open plan arrangement. Even though the front of the house is open to the ocean, the two walls facing the hillside are solid, providing complete privacy. Picture you and your other half enjoying a peaceful breakfast, or dinner in the moonlight sipping red wine and staring past the open fire across a moonlit ocean. And the most magical part about the property? 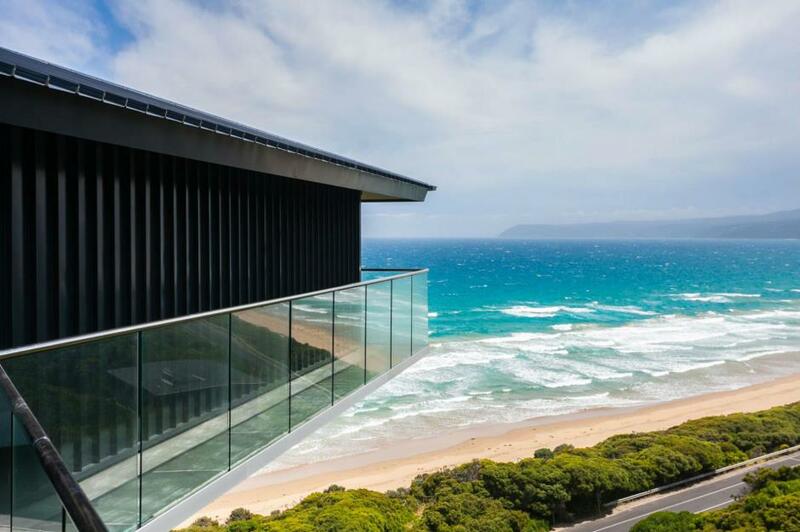 From your balcony you'd see 30 miles of uninterrupted coastline. 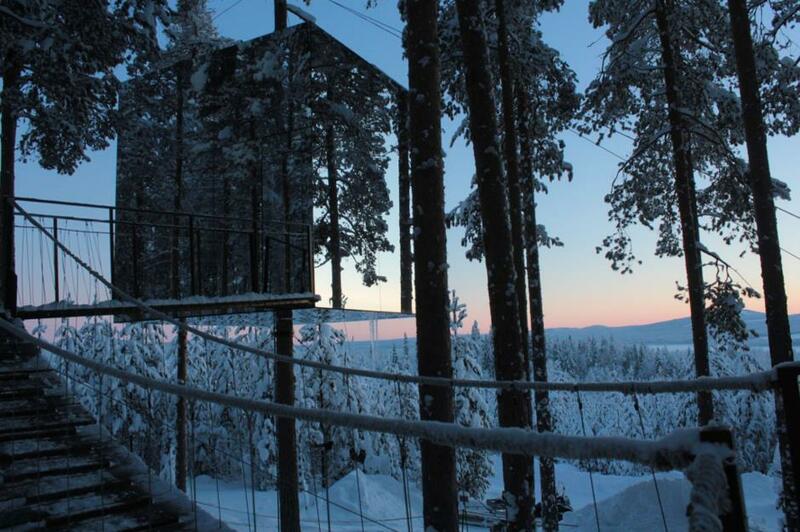 The Pole House isn't currently available to buy, but you can rent it for vacations. When can we go? 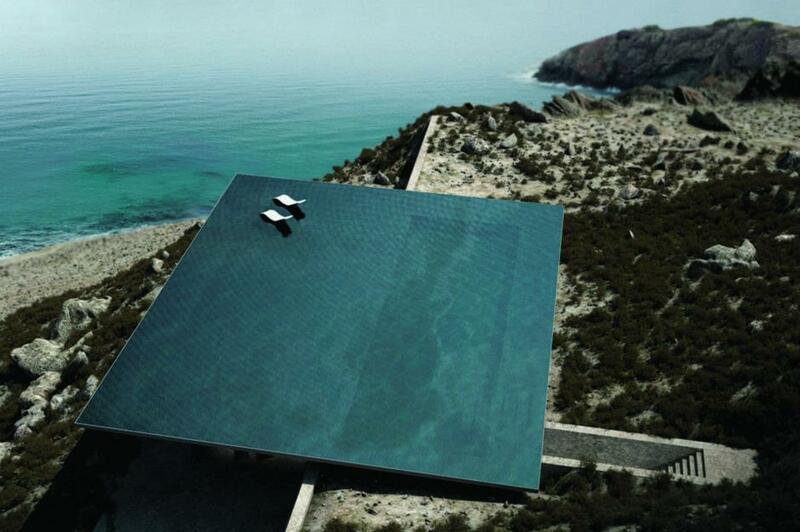 As you can see, the property has an incredibly sharp triangular roof and is located on a nail-biting cliff-edge. 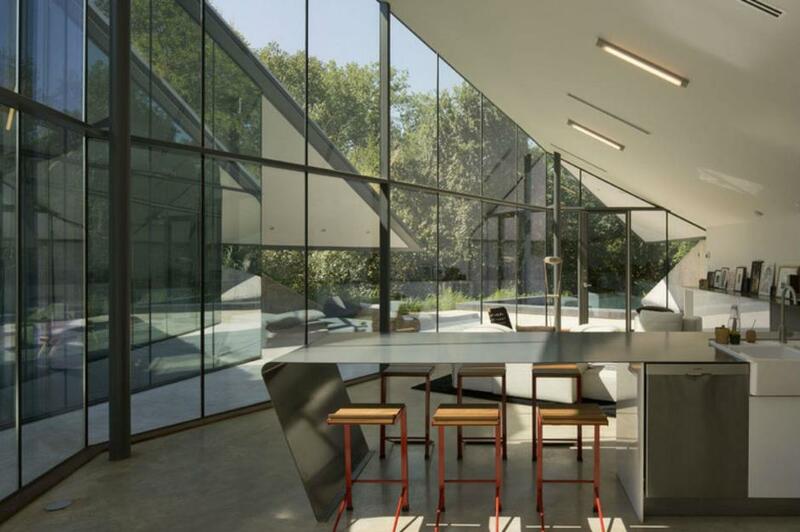 The house consists of three floors with large glass windows throughout to allow natural light to stream into the house. 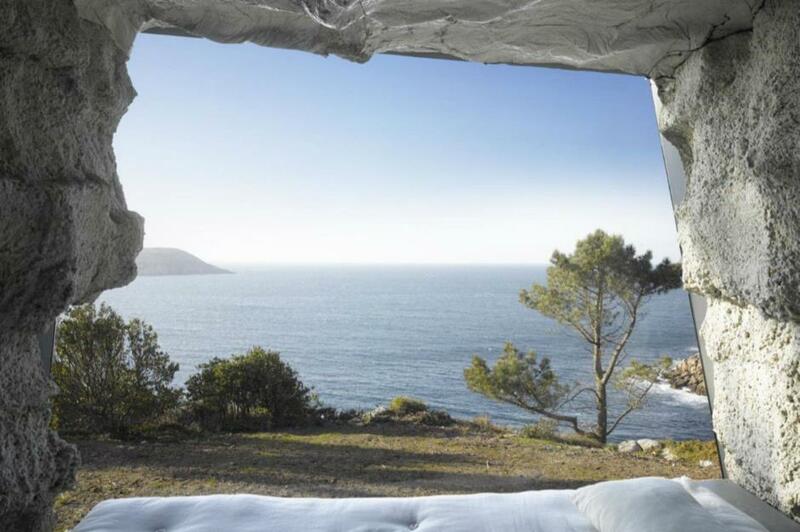 Just imagine resting here for your morning coffee, looking out onto the cliffs ahead. Unfortunately the house isn't for sale yet, as it is currently just a concept, but keep an eye out as it could be coming to a cliff near you one day soon. 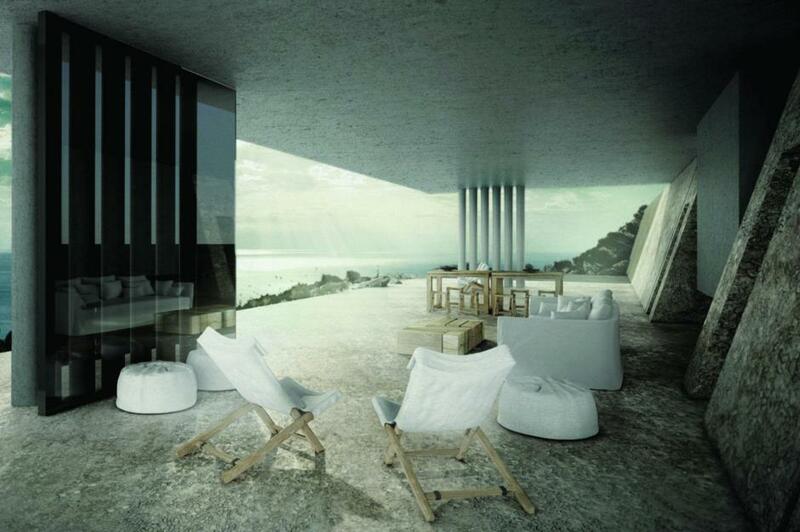 Slightly less nail-biting, but still as deceptive, is this futuristic house on the Greek island of Tinos. 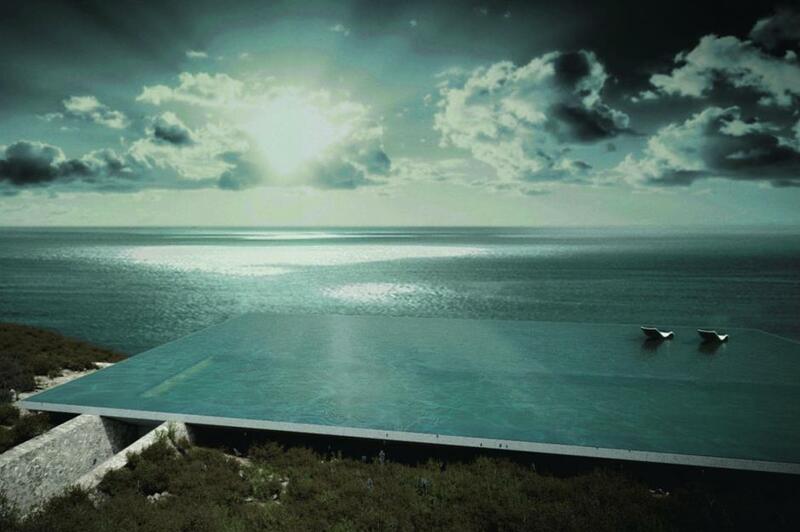 Glistening on the cliff-top is this infinity pool, which shelters a luxurious house beneath and makes the property blend in with the ocean. And just look at how cozy it is. Unfortunately it's not up for sale, but there's no doubt you'd be fighting it out with others (millionaires we'd guess) to land this spot. 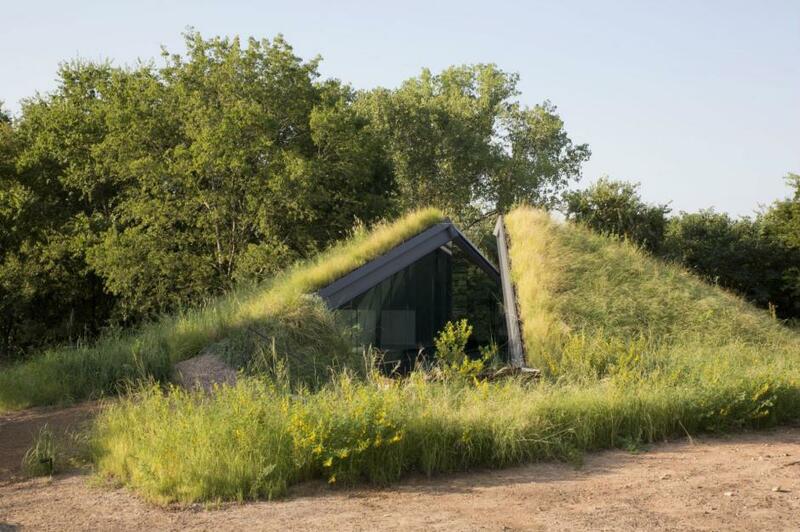 This house, which sits comfortably under a patch of grass in Texas, was designed based on the vernacular of the “pit house”, which is one of the oldest housing types in North America and is typically sunken into the ground. The idea behind the building is that it is dug under the earth's mass in such a way that it blends into the environment and retains 'thermal comfort' while still allowing enough sunlight to come through. There's just enough light to fill this bright and spacious kitchen, but still enough privacy to hide away from other humans. 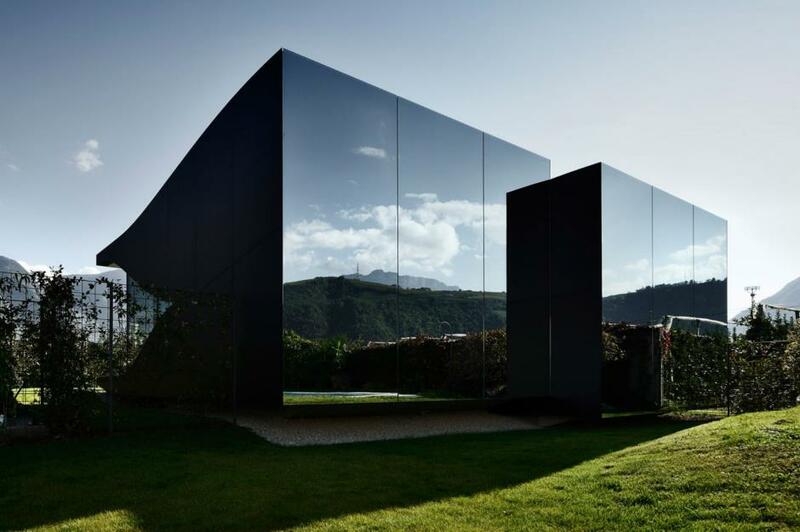 Located where Austria and Italy meet, the Mirror Houses are a pair of homes set among the beautiful surroundings of the South Tyrolean Dolomites. 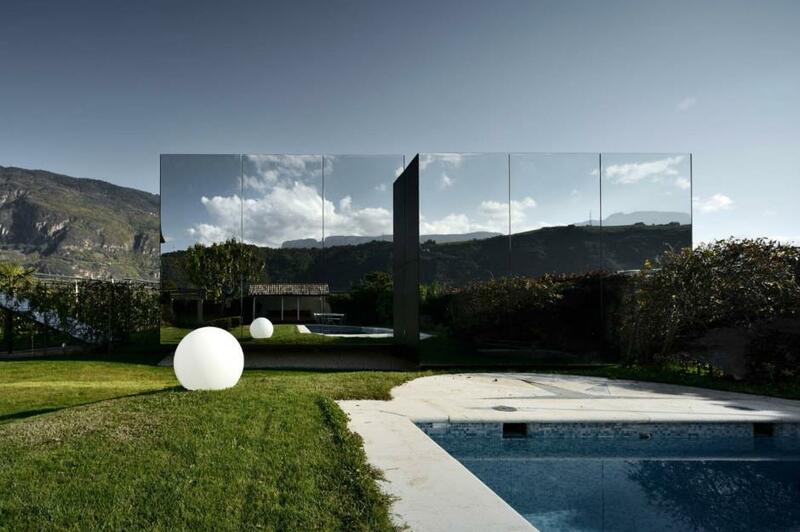 Located just outside of the city of Bolzano, the houses were designed by architect Peter Pichler to offer something unique. 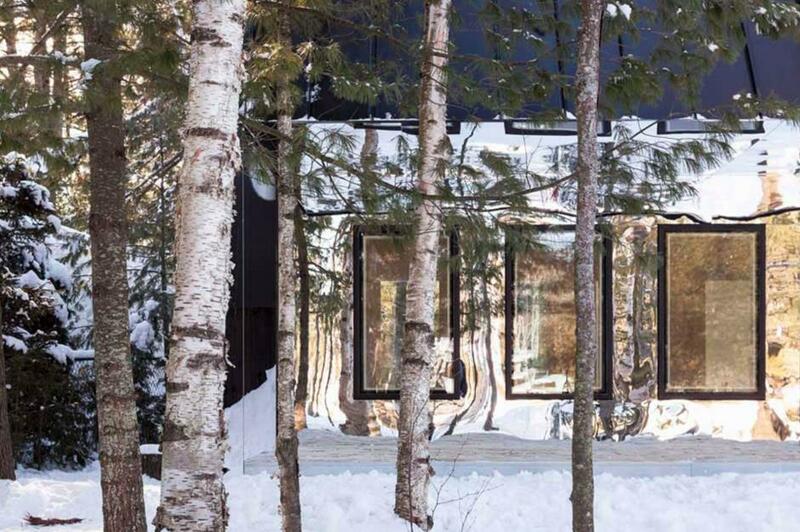 The mirror face allows the duo-house property to blend in with the environment. Inside, the interior remains crisp and clean, with mirrors throughout that continue to extend the appearance of the property. Although the property isn’t for sale right now, and its value is unconfirmed, you can stay in one of the houses for anywhere from $234 (£178) per night. 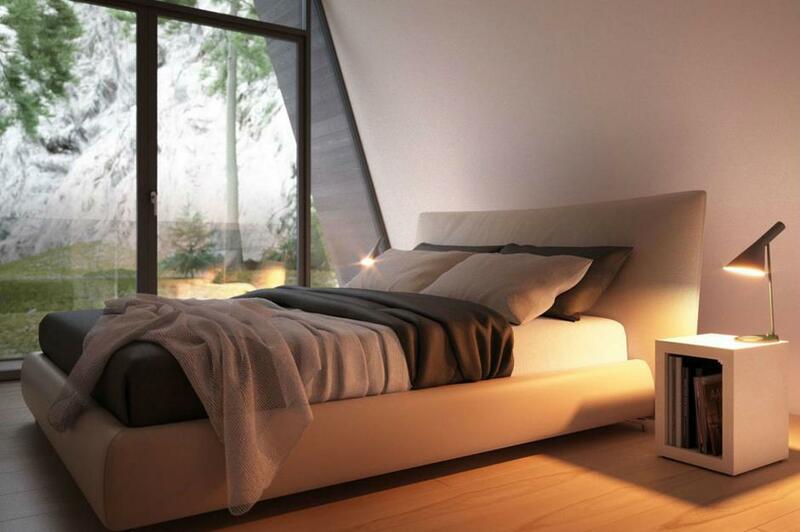 For sleeping in a building of such high contemporary architecture standards, we’d say that’s a bargain.